Looking for private in-home or in-studio Dance classes? Our Arcadia teachers are ready to get you started. Find your teacher today! I have been teaching dance for over 20 years. I specialize in ballet, tap, and jazz. I also teach lyrical. My goals are to work on their coordination and flexibility along with proper ballet technique. All classes will be tailored to each student accordingly. look. I’m an eager student, so I’m constantly teaching new stuff I’ve recently learned. I look forward to meeting you and reaching the finish line- whatever that may be! I am enthusiastic about teaching online lessons as well. I find that online training works amazingly well, and is extremely convenient for people with busy schedules. Please inquire about rates for semi privates, group, and corporate training. In studio lessons are available as well inquire for details. In home classes are a 1 hour minimum. Lindsay was punctual and efficient with my time. The sequence felt perfectly suited. Nicely intuitive, even to the volume of voice at an early hour! Lindsay is very knowledgeable and a great instructor! I have been able to get back into a solid pilates routine because of her expertise and positivity. She tailors the lessons to my needs and I feel very comfortable in asking any questions. And the workouts are fantastic. :) Thank you!! Experienced performer of 13 years and teacher of 5 years, specializing in technique from beginners to advanced dancers! All ages welcome. Lessons are customized and catered to the needs/goals of each student. 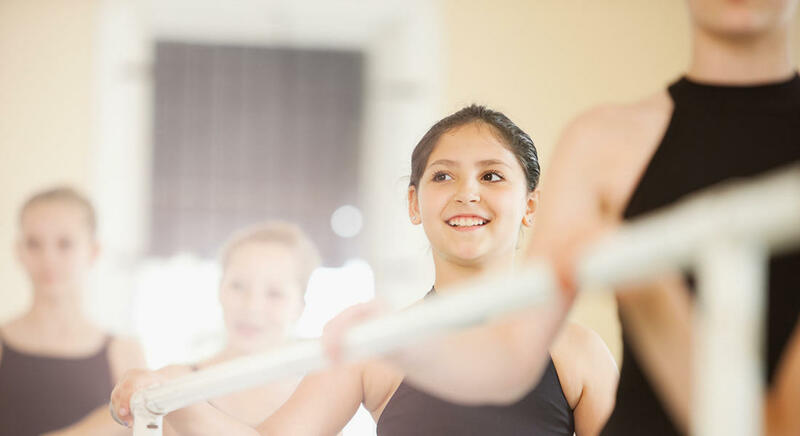 Not only will you be learning the basics of ballet, but you will learn the vocabulary and necessary tools to set a strong foundation for dance. Let's get started! Hi! A little about me... I grew up in Central California and grew up training in classical ballet under the ABT curriculum, performed as a principal dancer for Fresno Dance Collective, and then pursued my BFA in Dance through Alonzo King’s LINES Ballet through Dominican University of California. Throughout college I was a part of two non profit organizations that offered dance workshops and performances for underprivileged communities locally and internationally. Upon graduation I moved to Southern California to dance at the Disneyland Resort and began teaching ballet, pointe, jazz, and tech & turns ranging in ages from 18 months to adult. my skill sets and help you to grow whether it be introducing you to your first lesson or helping to refine your technique and performance! e and develop skills to dance at home with their significant other and social settings from clubs to weddings. "Tanya was so incredible and made me really feel comfortable!" Los Angeles, CA teacher: Tanya A.
is definitely the male version of Shani and the nicer version. I can see him teaching the world zouk for yrs to come"
r he said "you're doing THIS" he was really great at imitating my mistakes! I have a long way to go, and in that sense it was challenging and discouraging to face that, but he gave me encouragements and clear instructions on what I could practice to get there. I would take his lesson again!" ht off the bet the technique has improved substantially. Tom pays close attention to your pasture, the way you hold your partner and any other small details which makes a difference in partner dance. Definitively recommend to sign up for the privates." he pointed it out and practiced alongside me. Although he was teaching, he made the class fun, his freaky (in a good way) personality is still there." to detail and thorough style. He was on time and very clear about our class objectives. What's really great about his space is the wood floor and mirrors. I highly recommend Tom as a teacher for dancers of every level!" definitely recommend her to anyone." Los Angeles, CA teacher: Nadia M.
"Shes amazing in every way:)"
Los Angeles, CA teacher: Michaela P.